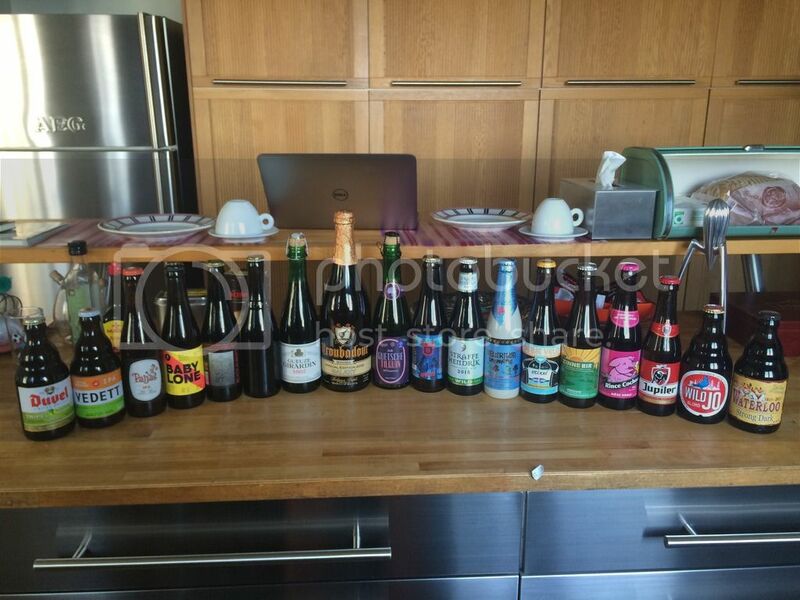 Belgium; the mere mention of the country in the context of beer can generate immense excitement in some people. We stayed in Brussels, Belgium's capital and largest city, about 300m from one of the world's most famous breweries; Cantillon. To say I was excited would be an understatement! We arrived on Belgium's National Day and naturally the bars and pubs were packed with happy Belgian's making for a great atmosphere while we were out and about. The one downside of it being a public holiday was that less bottle shops were open. I ended up settling on De Bier Tempel, a place I've heard was a little over priced and touristy. Although it did seem to be mostly tourists in the shop, I actually found the prices to be very reasonable, compared to the others I popped into throughout our days there, and the range to be excellent. Before cracking into our haul we went exploring Brussels, naturally with a few stops for beer on the way. At this little cafe/pub/bar we went to I had one of my all-time favourites; Tripel Karmeliet. I actually reviewed this beer in full not so long ago, which you can read about here. I also had a Ramee Blonde, which went down very nicely. At dinner that night I had another two beers that I was quite well acquainted with. Orval is one of those beers that I will always love, it's light brettiness is spectacular, and pairs brilliantly with mussels (yes I did eat mussels in Brussels...). 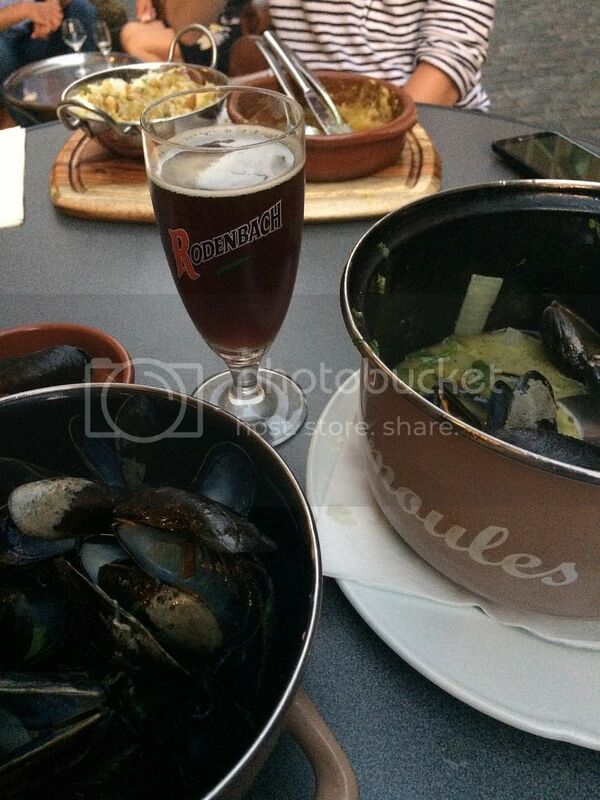 I also grabbed a Rodenbach, the quintessential Flanders Red Ale, which lived up to it's usual standards. Now, it's probably fair to say that I went overboard when shopping for beers, so Lizzie and I had a lot to drink back at the apartment. First up we tried De Konnick's new one; Wild Jo. It was pretty nice if a little bland, with this very interesting muted fruit flavour, which I believed to be apricot by the end of drinking. This was followed up by another beer lacking slightly in flavour; Paljas IPA. This had nice, if not quite enough, flavours of yeast and hops but was unfortunately destroyed by this quite prominent nuttiness. Against my better judgement I gave Rince Cochon a chance to redeem themselves, after the appalling offering I got from them in Nice (read here). It actually wasn't awful, with the flavour reminding me of children's Panadol - you'd have no idea it was 8.5%! The Waterloo Strong Dark was something I was really looking forward to, but really let me down with this strong licorice flavour overpowering everything else. The next morning we made the most of our close proximity to Cantillon and headed there first thing for the tour and a few tastings. The tour is self-guided and an absolute must for all beer lovers. Getting to taste the unblended lambic at the end of the tour is a real treat as well. With my other sample I tried the Classic Gueuze, something that's always evaded me previously, which was excellent as expected - whilst Lizzie had the Kriek. No Cantillon trip would be complete without sampling some of the rarer offerings. They were actually a little disappointing on the day; but we were advised to come back the next day for some rarer offerings. With that in mind we settled on the Lou Pepe Framboise. 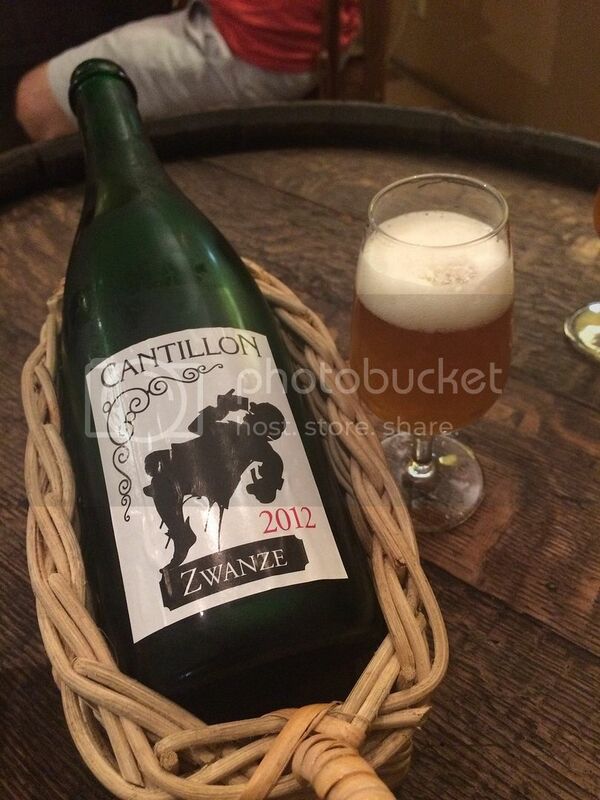 This was spectacular and at this point - my favourite Cantillon ever! We stopped at Moeder Lambic, supposedly one of the world's best beer bars. Personally I wasn't a fan, the staff weren't particularly polite and the bottle list wasn't available due to stocktake. I had a Brasserie de la Senne Smeirlap, a Belgian Pale Ale, that was nice but didn't blow me away. What a great decision that turned out to be! I had the Rulles Tripel, which was slightly sweet but not overly so for the style. I loved this beer! I moved to the sour bottles after this and tried the St Louis Gueuze Fond Tradition and the Duchesse de Bourgogne. Both were tart and impressive and ones I'd highly recommend. I've heard Duchesse de Bourgogne spoken of as an introductory sour, but I think it is a bit too intense for that - for the initiated though go for your life! Back at our apartment Vedett Extra Ordinary IPA was next up. It was definitely more extra ordinary than extraordinary! It was very middle of the road. 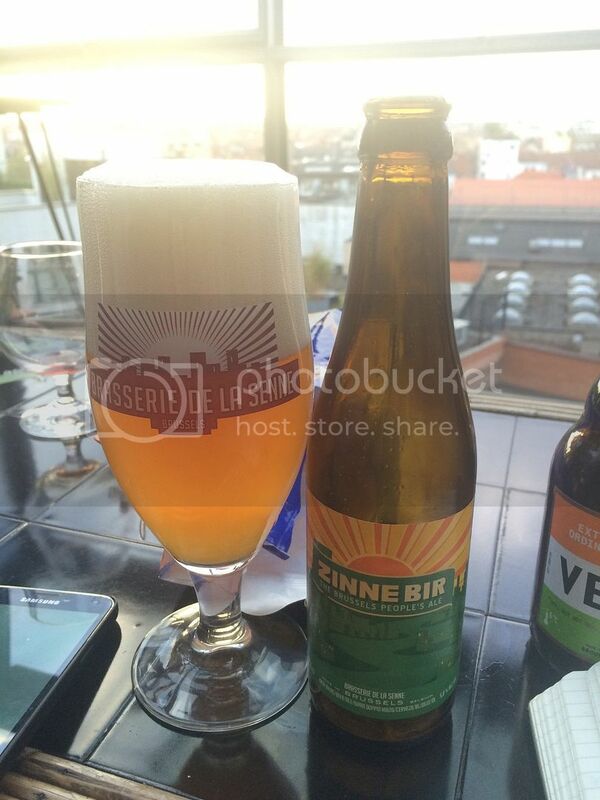 We tried the Zinnebir from Brasserie de la Senne next; it was an easy drinking Pale Ale but also nothing amazing. Brussels Beer Project Delta was a gift from the person who owned the apartment. This was a beer packed full of citrus and peach flavoured hops, which were nicely bitter and very tasty! I finished off the night with one of the most widely acclaimed beers in the world; Westvleteren 12. It's a beer I've previously reviewed and was just as good as I remembered! You can check out that review here. I also got myself a couple of extra bottles that I've brought back here to have at a later date. 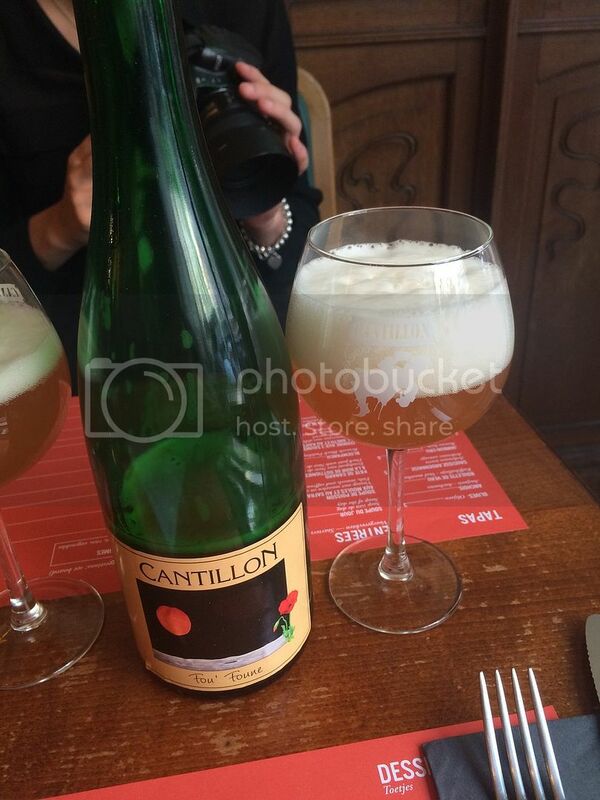 We only had a short while the next morning to pop back to Cantillon, but it was definitely worth it! Lizzie and I split a 2012 Zwanze, which was simply brilliant! They didn't have any Fou' Foune though, which has been top of my Cantillon wish list for years... My next beer was far less impressive; the lager the Belgian's drink; not Stella Artois but Jupiler. There are much better options out there but you could do a lot worse. 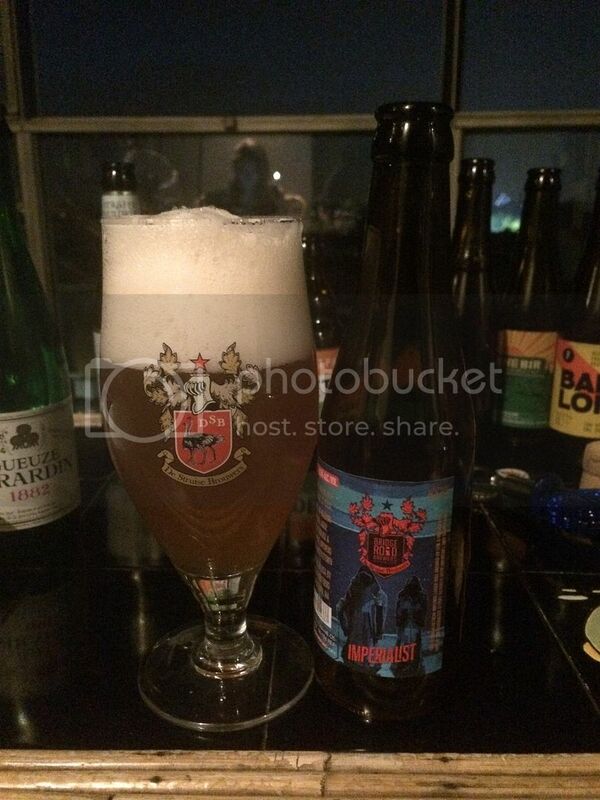 The second beer from the Brussels Beer Project I sampled was called Babylone. This is the one made with left over bread products, collected throughout Brussels, that would otherwise go to waste. The beer was nice and malty and had an impressive dark body. Duvel's Tripel Hop (2015) was also a cracking beer. It was grassy and spicy as well as having a fruitiness which I believed to be melon. Straffe Hendrik Brugs Wild Tripel was everything I hoped it would be. It was still ostensibly a Tripel, and quite a good one at that, with just a light sourness. A beer that should have been more sour was Gueuze Giradin 1882. This was strangely sweet and wine like. Neither Lizzie or I enjoyed this at all and I'm pretty sure quite a bit of it went down the sink. For our last night in Brussels we decided to splash out a little and went to Nuëtnigenough. Not only was the food excellent but the beer was even better. I got my Cantillon Fou' Foune!!! And it was everything I dreamed it would be, packed full of sour apricots! We then followed it up with a Cantillon Lou Pepe Kriek, which is deserved known as the best Kriek in the world. People who read this blog consistently would probably be aware of my love of the Tilquin beers. After my visit to Brussels I have a new favourite; Oude Quetsche Tilquin à L’Ancienne Avec Prunes De Namur! That is a seriously long name for a beer, but it was seriously brilliant! For those wondering 'Prunes De Namur' are plums, and they were very prominent. This was one of the tartest beers I've ever had, it was just brilliant! One of the beers I was most excited to find in Brussels was Imperialist; a collaboration between Struisse and Bridge Road Brewers. It was an Imperial Pilsner that clocked in at 8%. It was really quite an interesting beer with quite prominent yeastiness matching bitter hops quite nicely. It's certainly different, but I quite enjoyed it. 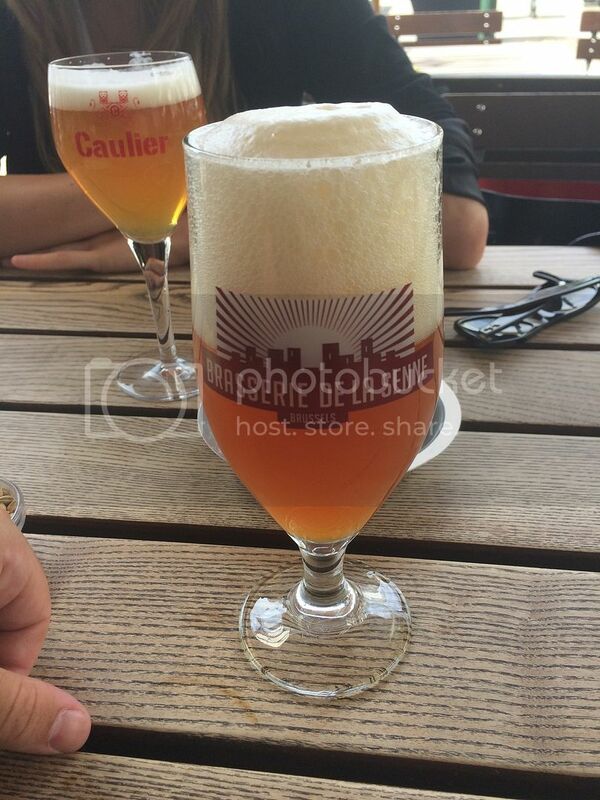 Troubadour Galaxy Tripel was my last beer in Brussels. I was pretty interested to see what a Tripel hopped with Australia's own Galaxy would taste like. The Tripel was quite nice with honey prominent. What disappointed me was that the Galaxy wasn't prominent however, this was a sweetish pretty standard Tripel. I can't apologize enough guys for how long this has taken for me to get this review up. Good old Google has lost it twice on me... Anyway it's finally here and it's a very long read, so well done if you've got to this point! The final France review will hopefully be up tonight as well, it's written just need to find pictures for it.